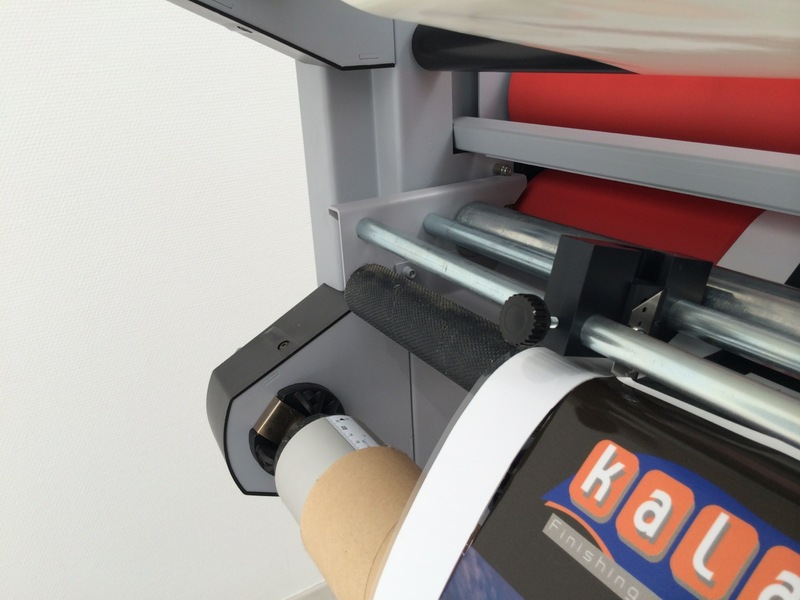 The Kala Mistral is a high quality, high speed cold laminator with upper heated roller and integrated "roll to roll" assembly. Available in widths of 65" and 83". 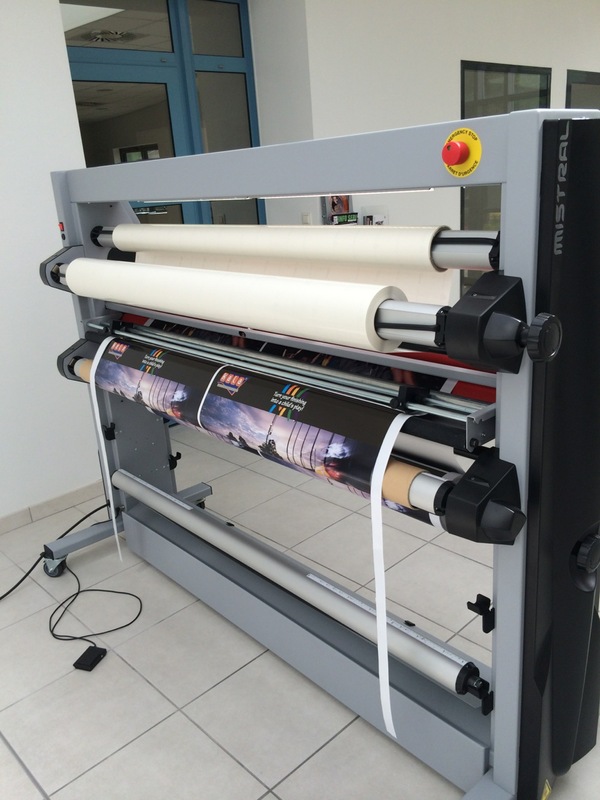 Speed capability of 21' per minute and a maximum mounting thickness up to 2". 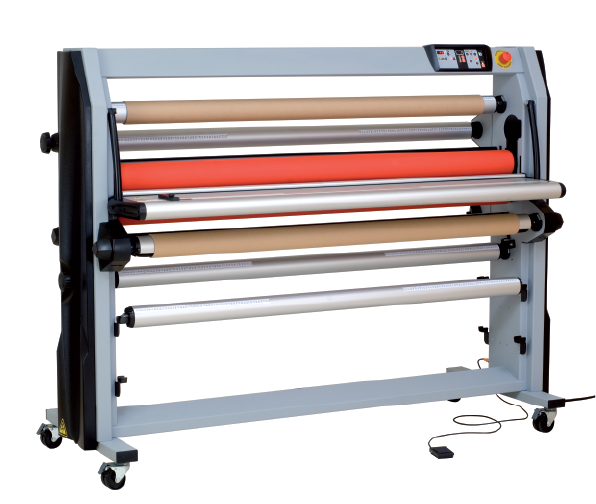 Top roller has a heat range up to 140 F.
Comes with 5 shafts, 1 feeder plate, 1 infeed print guide, 1 print media shaft and LED light kit. 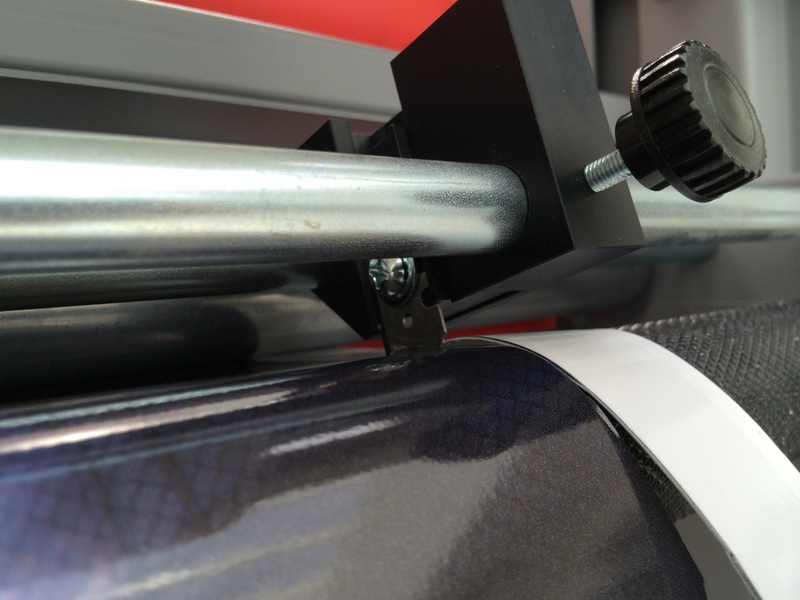 Save time by adding the In-Line Cutting Accessory to your Kala Mistal or Arkane Laminator. 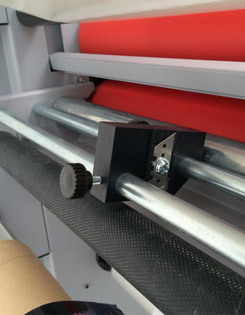 This adjustable cutter allows you to trim your finished prints to size as they exit the back of the laminator. 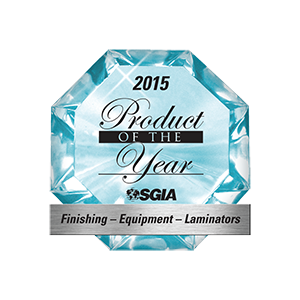 The in line cutting accessory is an optional add-on for the Kala Mistral and Arkane Laminators.